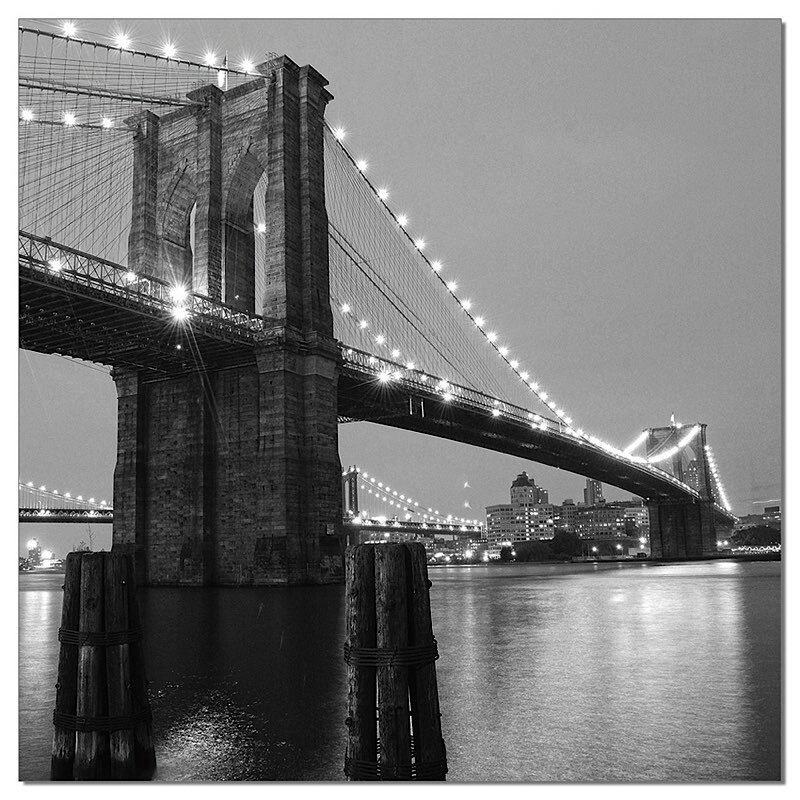 Black and white New York art is a wonderful way to complement your room’s style or add that conversation piece you’ve been looking for. To create a unique interior, you need more than a great room and interesting furniture! Unique accent pieces like this Brooklyn Bridge canvas are what separate nice spaces from desirable interiors. "Brooklyn Bridge II" is exclusively printed through a state-of-the-art process onto the acrylic, as opposed to glued onto the acrylic.